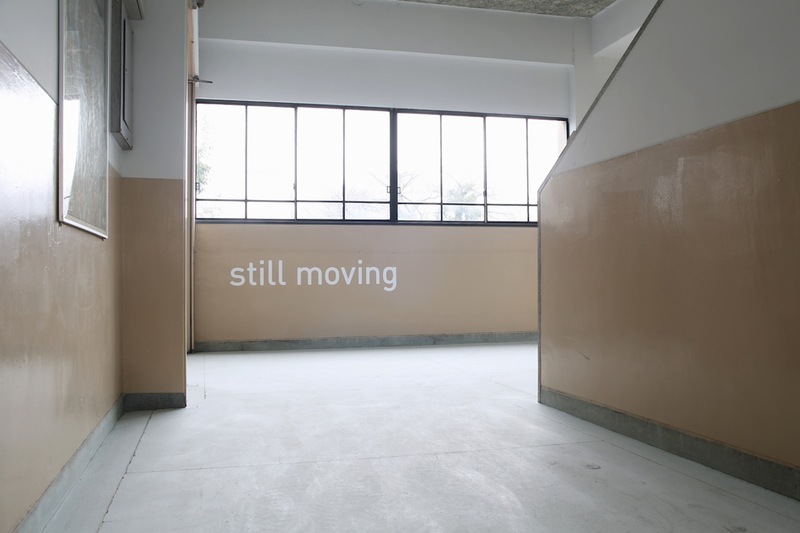 We worked on exhibition design of “Still Moving”, organized by Kyoto City University of Arts (KCUA) as a part of “Parasophia”, Kyoto International Festival of Contemporary Culture. 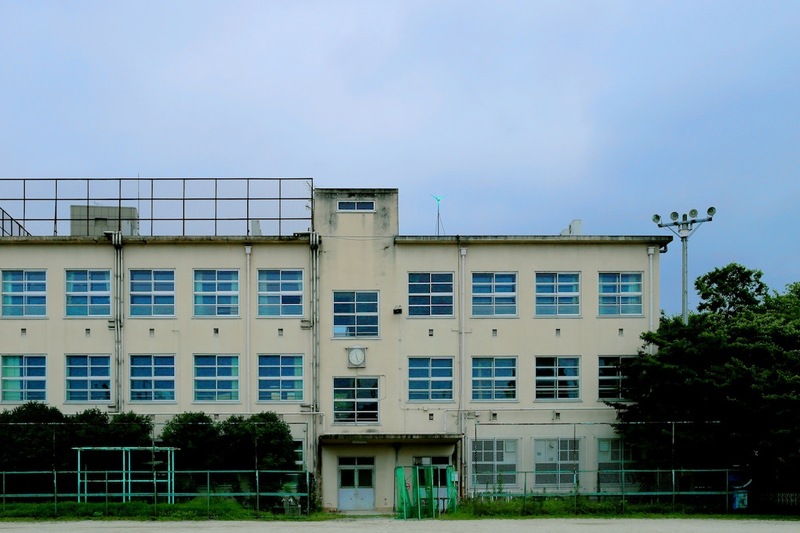 KCUA is planning to move to the Suujin Area, mere minutes from Kyoto Station, within the next 10 years. 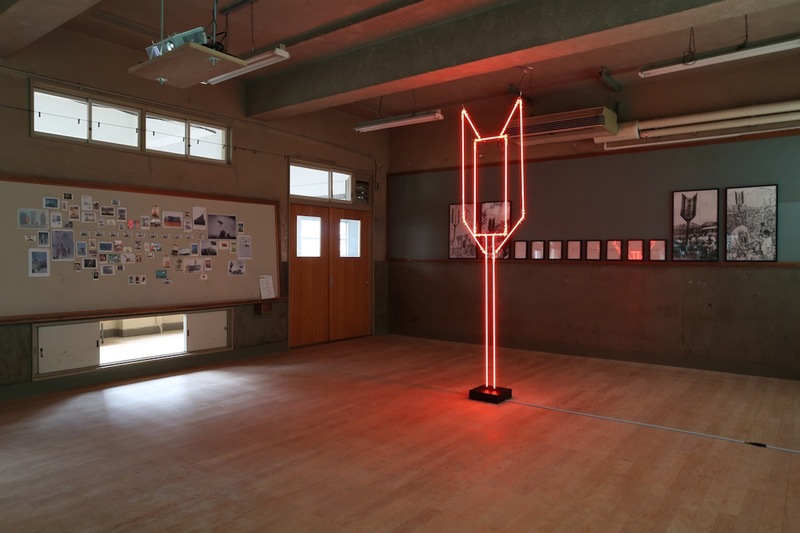 This exhibition is designed to enhance communication and interaction between artists and the community. The area is blessed with the abundant natural scenery of Takasegawa and Kamogawa rivers and a breathtaking view of Higashiyama. On the other hand, it also bears the burden of social issues such as depopulation and urban sprawl, as well as the history of the outcast community. 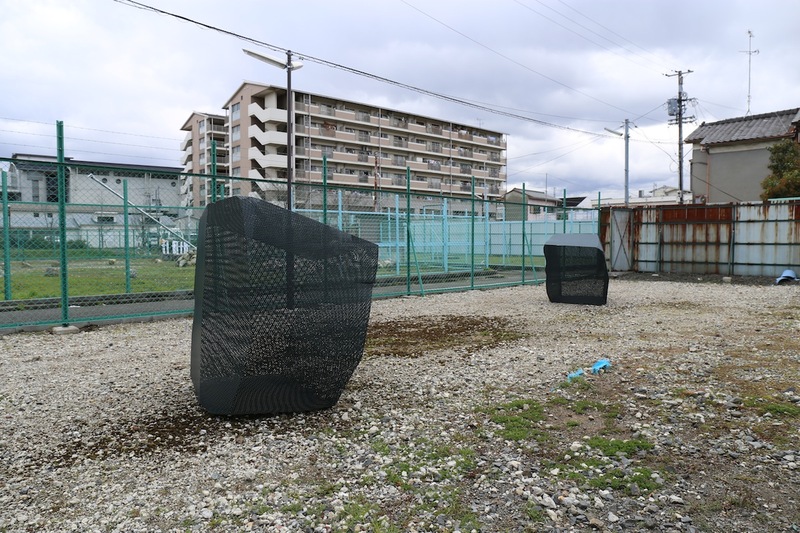 The purchased properties in the district are now fenced off, and the sight of the green fences exerts a negative influence on atmosphere in the district. Here we intend to direct visitors’ attention to the district itself, as well as art works. 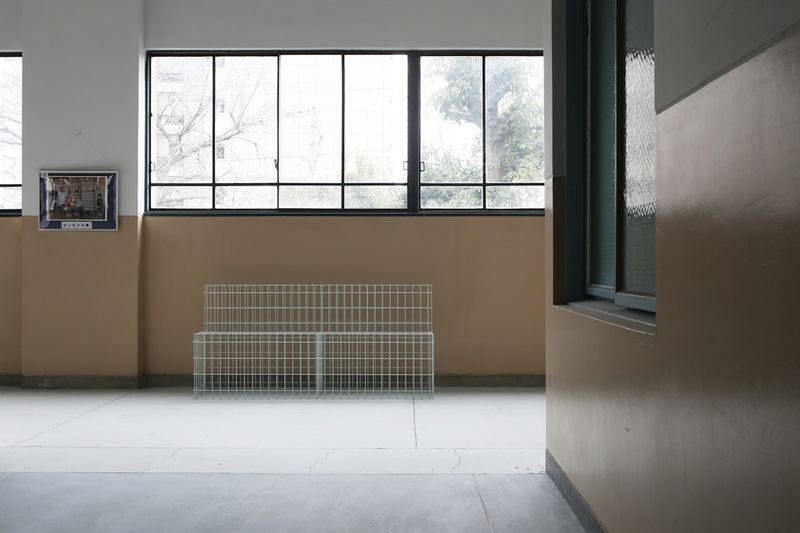 Two elements – one is artwork displayed on the floor, and the other is existing walls arising from the floor- are placed parallel to each other, creating spatial boundaries around visitors. 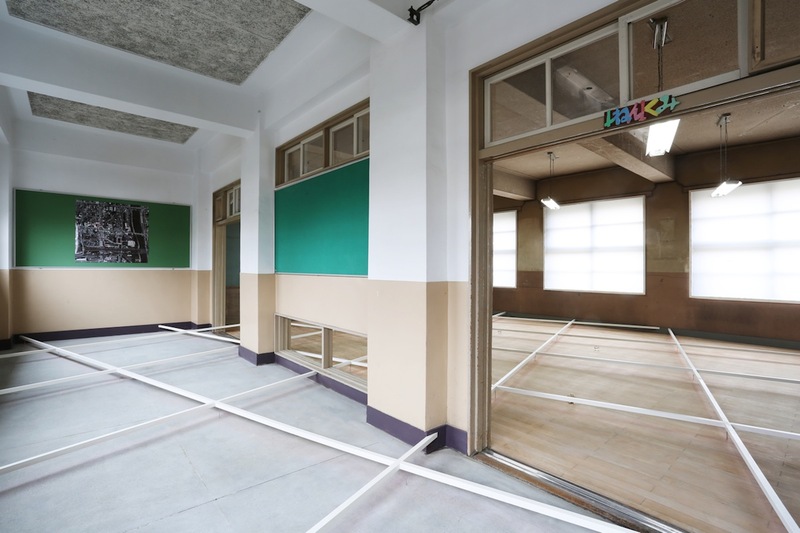 Some parts of existing floors, which are used as circulation routes and art exhibit areas, are thoroughly polished to expose clean and bare surfaces, which serve as a fresh and neutral background against art works and the existing environment. 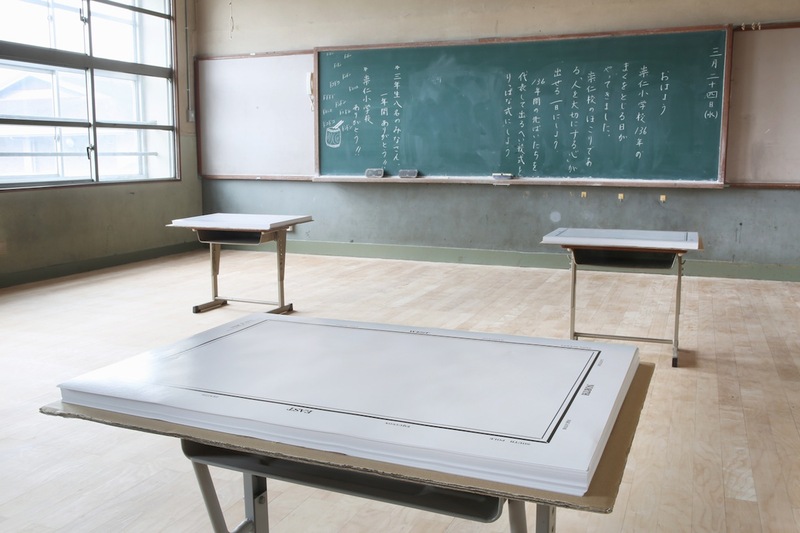 Here existing elements and art works are almost undistinguishable, and one learns to carefully observe and feel accumulated time and the history of the site, as well as numerous traces of hands that created art works. It is important to elevate artists’ creativity, but we believe that it is equally important to elevate viewers’ sensitivity at the same time. 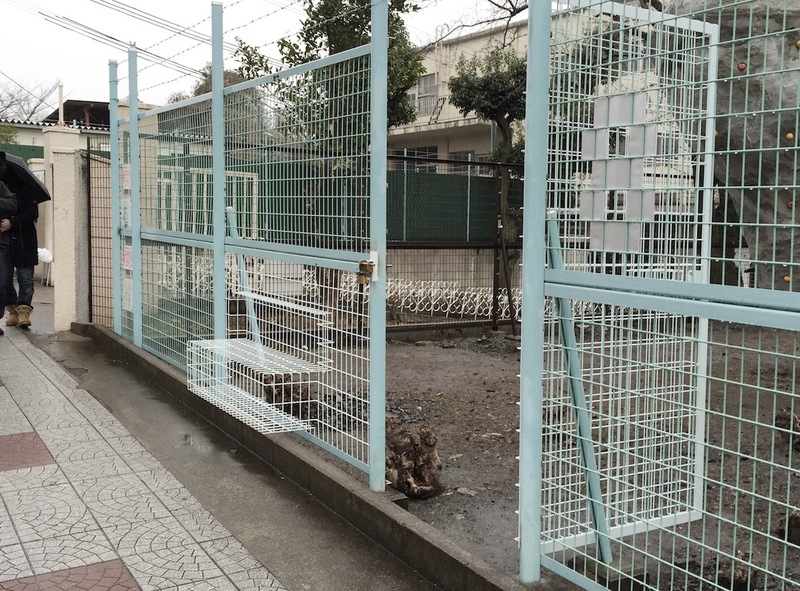 This exhibition space is not confined within the boundary of the Suujin Elementary School, but extends further to include the fenced properties around the school. 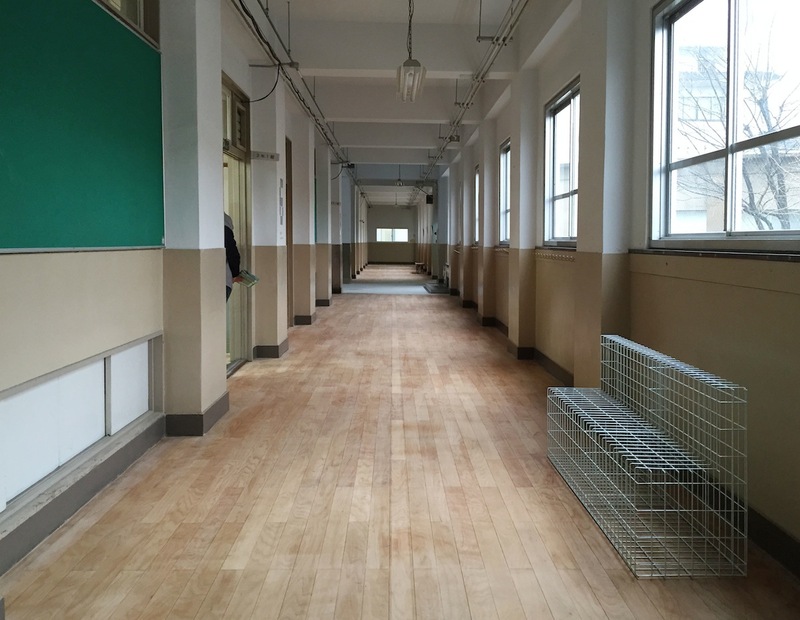 Green fences are incorporated inside the school as a design element connecting the two domains. 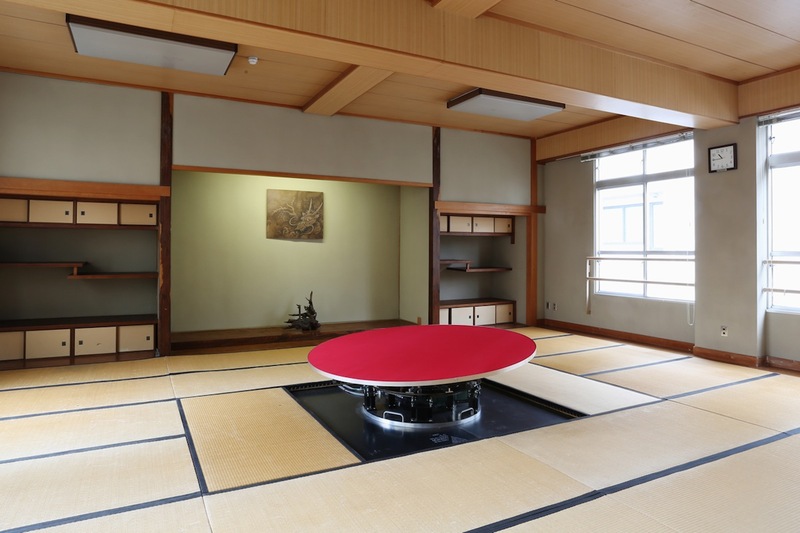 Also the idea of “polishing” in the interior space is applied to the exterior in a different fashion, by creating similar effects on the ground with a grass mower.